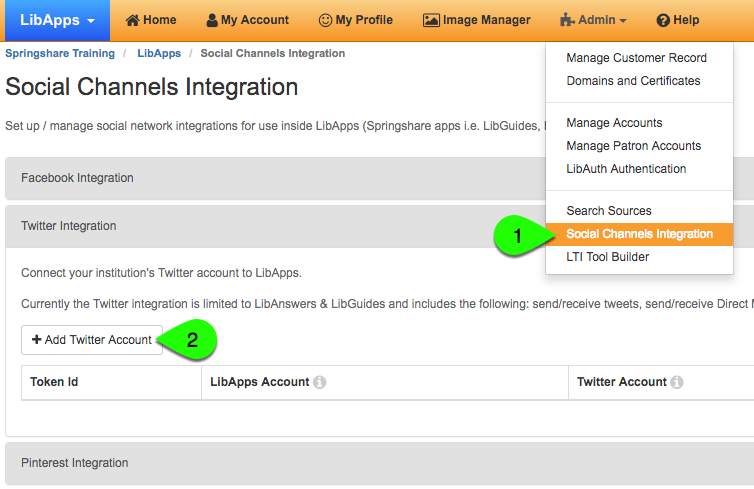 In the Twitter Integration box, click the Add Twitter Page button. Click the Authorize app button on the next screen. 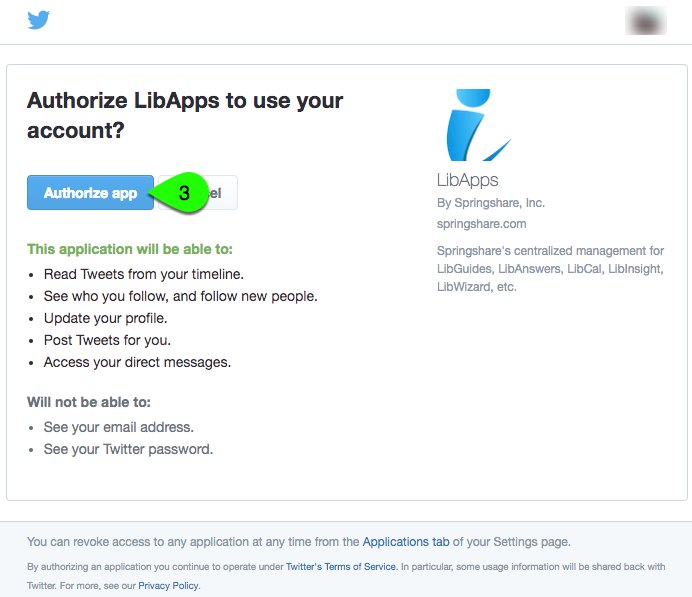 Note: You can authorize multiple Twitter accounts for LibApps, but every accaount authorization has to be done separately.